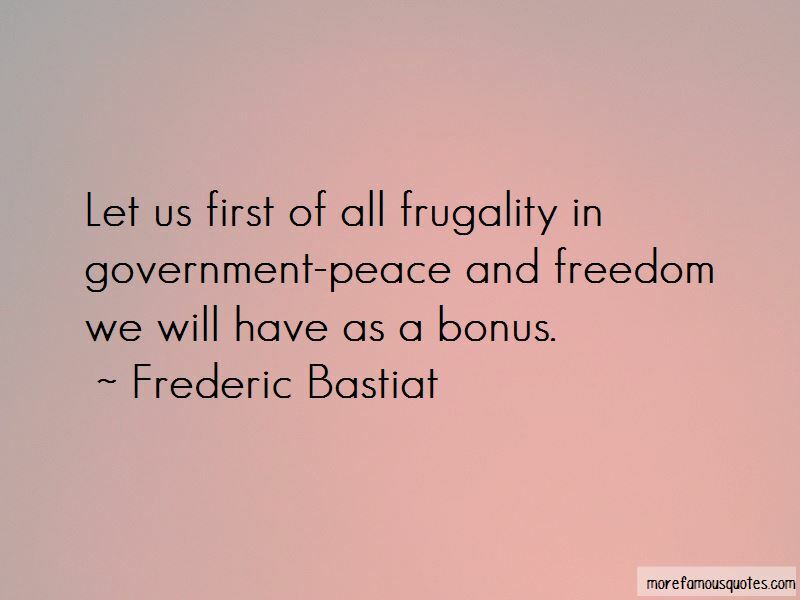 Enjoy the top 70 famous quotes, sayings and quotations by Frederic Bastiat. The law has been perverted through the influence of two very different causes-naked greed and misconceived philanthropy. Now since man is naturally inclined to avoid pain - and since labor is pain in itself - it follows that men will resort to plunder whenever plunder is easier than work. History shows this quite clearly. And under these conditions, neither religion nor morality can stop it. When, then, does plunder stop? It stops when it becomes more painful and more dangerous than labor. It is evident, then, that the proper purpose of law is to use the power of its collective force to stop this fatal tendency to plunder instead of to work. All the measures of the law should protect property and punish plunder. We cannot but be astonished at the ease with which men resign themselves to ignorance about what is most important for them to know; and we may be certain that they are determined to remain invincibly ignorant if they once come to consider it as axiomatic that there are no absolute principles. And this is what has taken place. The delusion of the day is to enrich all classes at the expense of each other; it is to generalize plunder under pretense of organizing it. All you have to do, is to see whether the law takes from some what belongs to them in order to give it to others to whom it does not belong. We must see whether the law performs, for the profit of one citizen and to the detriment of others, an act which that citizen could not perform himself without being guilty of a crime. Repeal such a law without delay ... [I]f you don't take care, what begins by being an exception tends to become general, to multiply itself, and to develop into a veritable system. [Socialists claim] that we reject fraternity, solidarity, organization, and association; and they brand us with the name of individualists. We can assure them that what we repudiate is not natural organization, but forced organization. It is not free association, but the forms of association that they would impose upon us. It is not spontaneous fraternity, but legal fraternity. It is not providential solidarity, but artificial solidarity, which is only an unjust displacement of responsibility. Socialism ... confounds Government and society. The law is the collective organization of the individual's right to lawful defense of his life, liberty and property. When it is used for anything else, no matter how noble the cause, it becomes perverted and justice is weakened. 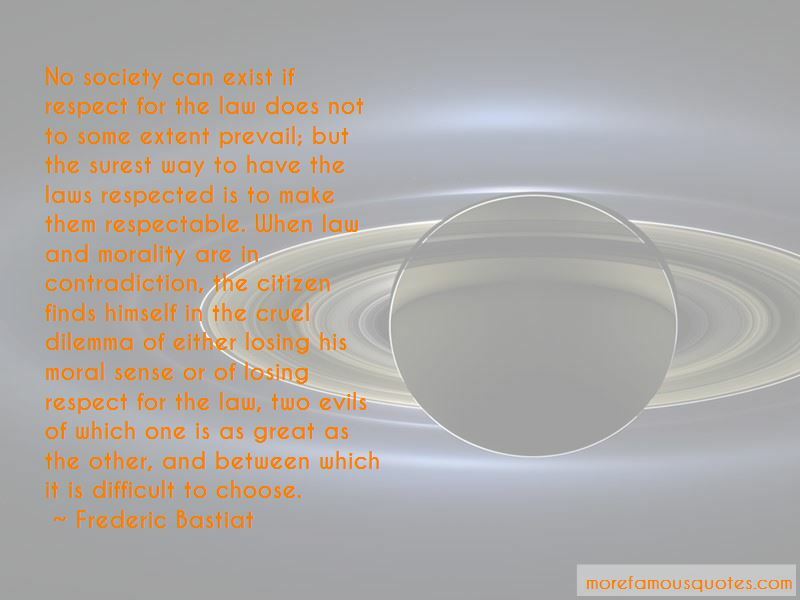 Thus, the law has become perverted by stupid greed and false philanthropy. It is easier to show the disorder that must accompany reform than the order that should follow it. 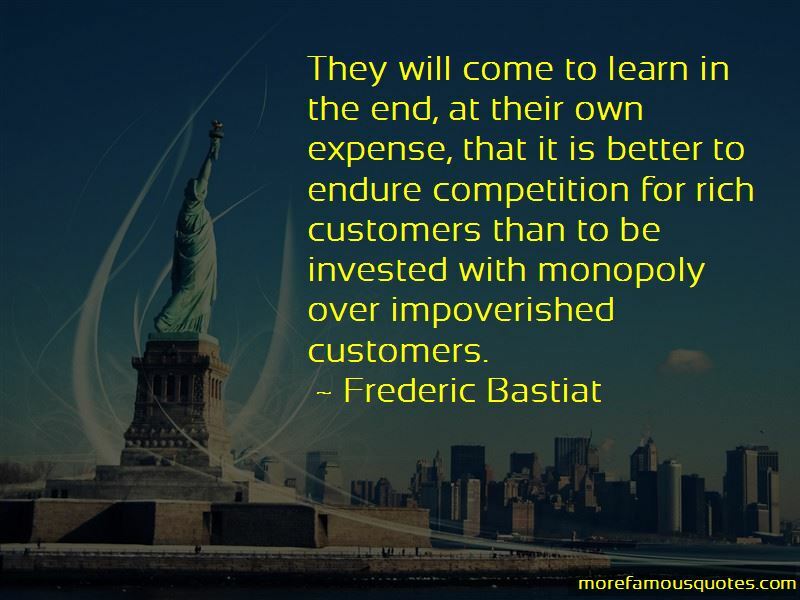 Want to see more pictures of Frederic Bastiat quotes? 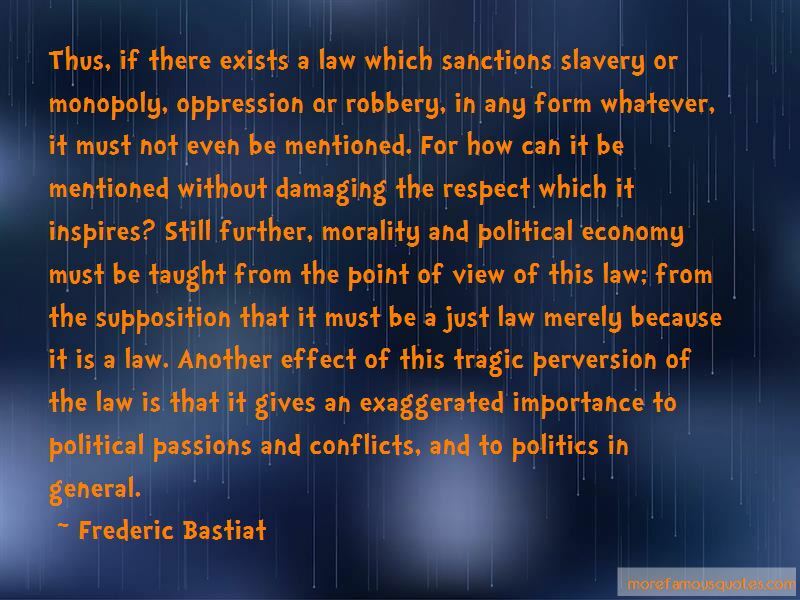 Click on image of Frederic Bastiat quotes to view full size.